2005-11-30 21:16:01 - CRI Exclusive by Shen Min - One of the high profile Chinese films of the year, Hong Kong director Peter Chan's "Perhaps Love," will premiere in Beijing on Wednesday. Hong Kong's Channel V host, Ke Lan, and Hong Kong veteran star, Eric Tsang(曾志伟), have been invited to preside at the premiere. Many of the cast are expected to attend, including director Chan, lead actress, Zhou Xun, and leading men Takeshi Kaneshiro, Jacky Cheung and South Korean star Ji Jin-hee. Hong Kong stars Miriam Yeung, Leo Ku and William So will also lend their voices to the premiere. The film premiered in Shanghai on Tuesday, and it will hit China's cinemas on December 1st. After a nine-year break from the movie world, Hong Kong director Peter Chan is back with a musical, "Perhaps Love". The picture closed out the Venice Film Festival, and is now debuting at Chinese theatres. Screams and flashes greeted several stars before the lead cast of "Perhaps Love" strolled down the red carpet. Famous directors, entertainers and models from the Chinese mainland, Hong Kong and Taiwan were invited to China's first movie musical in 40 years. The ten-million US dollar production has been drawing a lot of attention from the public. After a screening at the Venice Film Festival in September, it was branded as the Chinese version of "Moulin Rouge". It has been chosen to compete for Best Foreign film at the upcoming Oscars. But Chan says he's more concerned about how it does at the box office. Director Peter Chan said: "For me, film is a way of communication to more viewers. There're only seven hundred or so judges in Oscar. But the box office means millions of theatre-goers will see my film." Shot in Beijing and Shanghai, "Perhaps Love" is filled with spectacular sets, circus performances, Broadway-style musical numbers and lots of love songs. "Perhaps Love" is a film within a film. The story follows a love triangle between a director and his two lead actors. Jacky Cheung plays the director who is romantically involved with the lead actress he helped make a star, played by Zhou Xun. Japanese actor Takeshi Kaneshiro plays the lead actor who used to date the lead actress. But he becomes frustrated when she doesn't remember him. 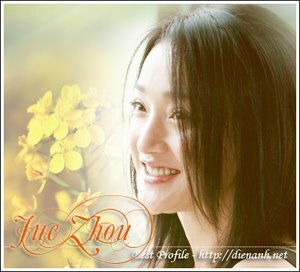 Leading actress Zhou Xun said: "First of all to work with this director was very important. He is very open minded. He was open to our ideas and our opinions. And to work with a lot of actors from all over Asia was so funny because every day I was listening to a lot of different languages and mixing them all together and that was very nice for me." "Perhaps Love" is one of the first movies out of the gate to kick off the country's new year movie season. "Riding Alone for Thousands of Miles" from Zhang Yimou, "The Promise" from Chan Kaige and "Night Banquet" from Feng Xiaogang are also due out soon.